One of my goals for Midlife Rambler is to remind my readers (and myself!) on a regular basis that we are still vibrant, exciting women. We deserve to be seen, to take up space! We deserve to look our best. This actually took a small bit of courage on my part. 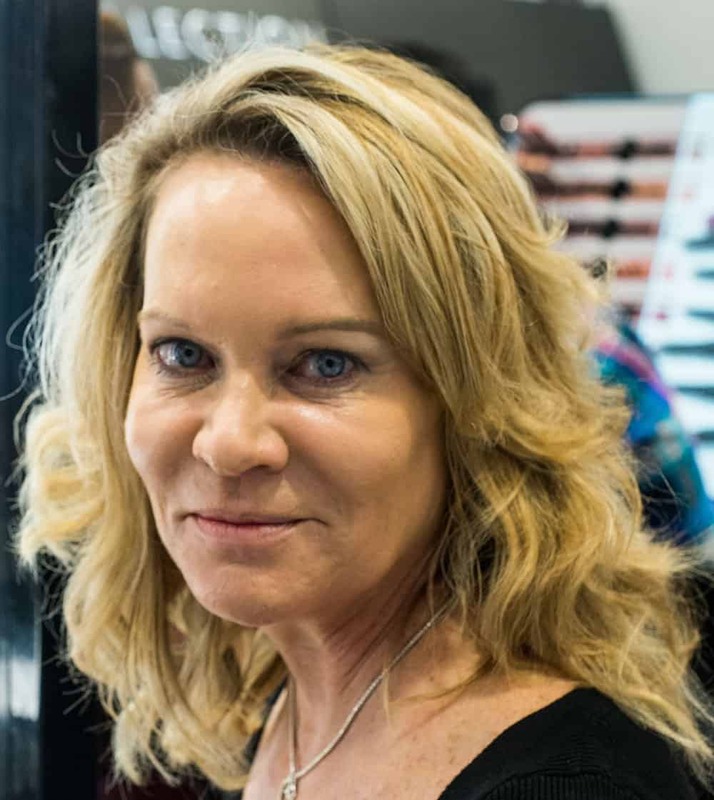 It’s so easy to fall into the trap of thinking that the days of learning new makeup techniques, trying new products, or even daring – the horror! – to want to look pretty is behind me. So booking a makeover was well beyond my comfort zone. This is not a sponsored post, by the way. 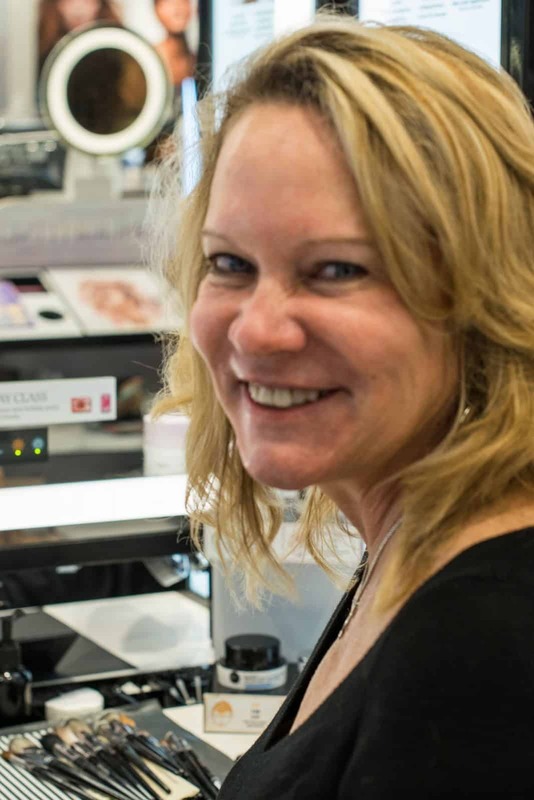 I was in Sephora a few weeks ago and saw they offered custom makeovers if you purchased $50 worth of products afterward (not hard to do at Sephora!) and decided to book an appointment and photograph it for you guys. My makeover was a wonderful experience. 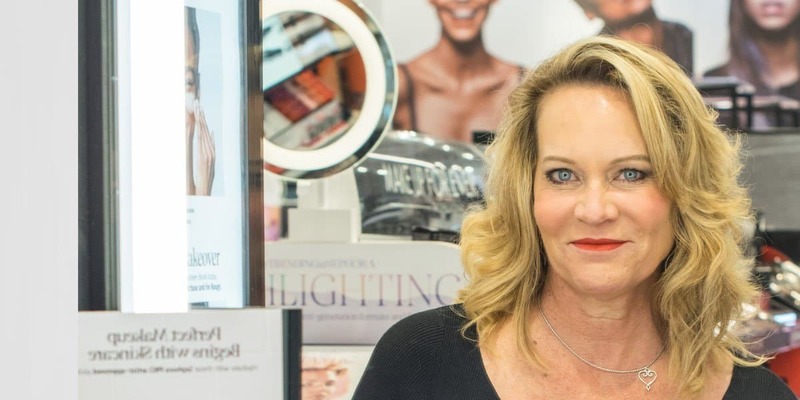 The staff at Sephora were so friendly and accommodating to me and totally fine with a middle-aged woman showing up for a makeover with a photographer. My makeup artist, Domenica, instantly got what I was going for. 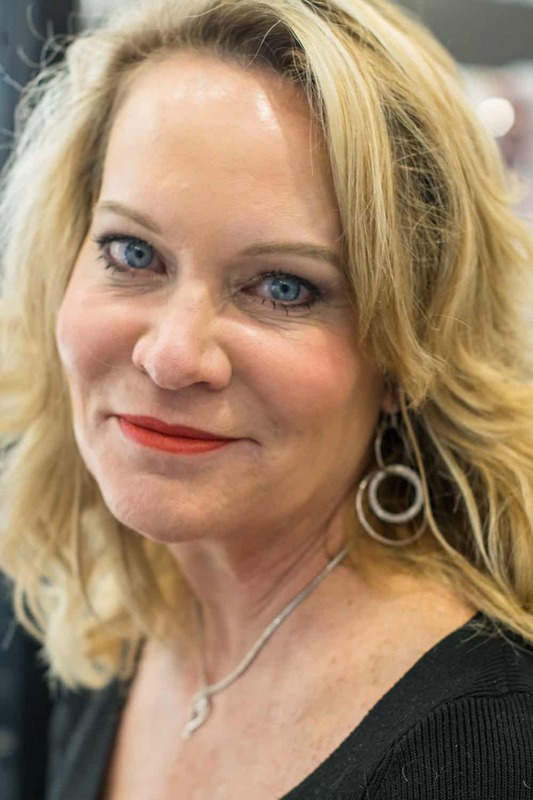 She was excited to find out that there are blogs out there for midlife women and thrilled when I told her I would be sharing what I learned with my readers. Domenica spent over an hour with me and gave me tons of tips to share with you guys. Here are some of the highlights. Makeup free and ready to go! 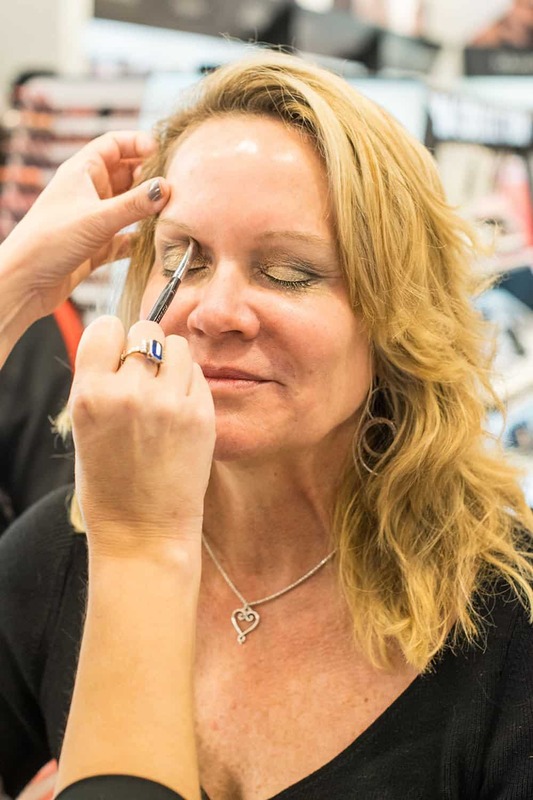 After moisturizer and sunscreen (always a must), Domenica started with my eye makeup. I was gratified to learn that it’s very hard for almost everyone to put on eyeshadow without making at least a little mess. If you start with your eyes, you can clean up any messes when you move on to foundation. Another thing – don’t be afraid of a little shimmer! You don’t have to be stuck wearing matte eyeshadows for the rest of your life. Just use it judiciously. After the primer, Domenica covered my eyelid in a beautiful gold shimmer. For my hooded eyes, she gave me a dark shadow starting in my crease and rising fairly high up the brow bone. Notice how Domenica is extending the darker color a bit above my natural crease. This helps minimize the hooded eye look that I’ve developed as I’ve gotten older. I resisted the idea of primer before foundation for years. I’m already putting on moisturizer and sunscreen and now I have to add another step before foundation! I don’t think so. But I finally realized the benefits of having a smooth base for your foundation, particularly as I get older. Smoothing out your skin before you apply foundation keeps your foundation from settling into fine lines and wrinkles and helps your foundation last longer. Sold! For my every day looks, I often wear tinted moisturizer or BB Cream but I wanted a full coverage for my special occasion look so Domenica used Diorskin Forever Perfect Foundation Broad Spectrum SPF 35. I usually use a beauty blender to apply foundation but she used a foundation brush and took her time making sure I had even coverage. You guys, this was a game changer! I wrote a post at the beginning of this year about how to get fuller brows and I’m completely rewriting it because the technique Domenica used finally gave me the full, lush brows I thought I’d never have. Watch for that post (and I’ll link to it here when I publish it), but here’s a quick summary for now. Using a thin brow brush, Domenica applied Brow Pomade along the very top of my brows to define the edge. Then she underlined my brow to give definition to the arch. Using the spoolie end of the eyebrow brush, she brushed the pomade through the entire brow. And then finally, she applied a very thin line of concealer above and below my brow to make them pop. The result: thick, lush brows that look totally natural. Look at the difference between my left eye (before) and my right eye (after). Game changer! I’ve been doing my brows like this every day since the makeover and so I can report that this is easy and quick and makes even normal everyday makeup looks feel polished and professional. I love using a pomade rather than a powder or pencil since it’s mess-free, looks natural and lasts all day. Here’s a great graphic from Cover Girl showing the technique in detail. Another thing I learned from Domenica is to apply concealer after foundation. That way you’re simply smoothing out the areas that need a little extra coverage rather than applying concealer first and then covering it up with foundation which can look heavy and cause caking. 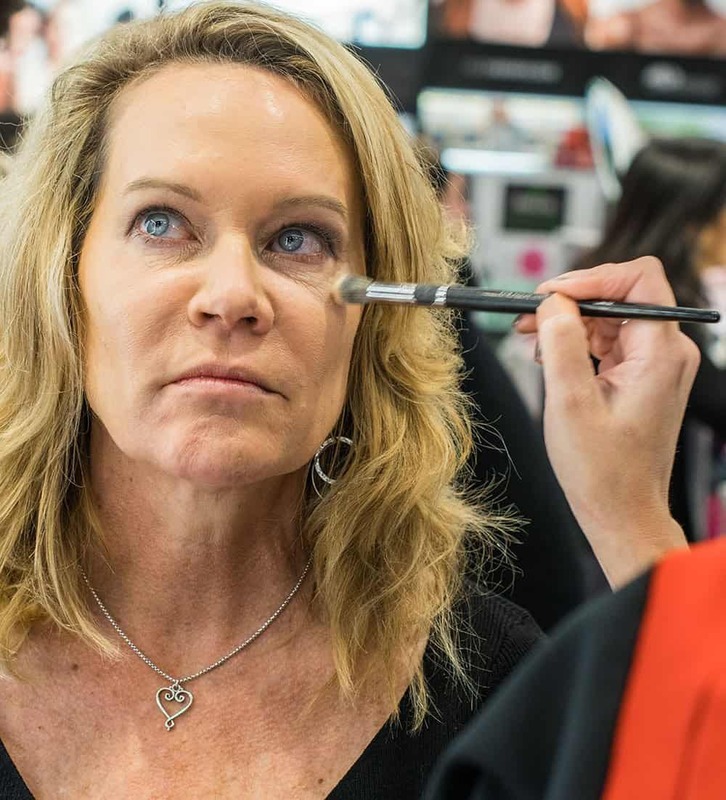 In my case, she simply applied a light coating of concealer right along the bone under my eye and then blended it upwards with a soft concealer brush. Domenica finished my look by applying Nars Liquid Blush in Dolce Vita, a soft rosy cream blush. It comes with a built-in applicator and then she simply blended it with her fingers along my cheekbone. I’ve sworn off powder blush forever; this stuff makes it look like I’m straight up glowing and I’ve added it to my daily makeup routine. which is already my goto – best mascara ever) and the boldest red lipstick I’ve ever worn. I loved it! But probably won’t wear this one every day. It’s definitely a night out sort of lipstick. The finishing touch was setting spray instead of powder. This made me look glowy instead of matte. Very nice. It felt a bit sticky though so I probably wouldn’t do this every day. Here are the products that were used in my makeover. I included links to purchase these products from Sephora or from Amazon. I’m not a Sephora affiliate, but I am an affiliate for Amazon. As always, I only recommend products I use and love and there’s never an extra cost to you. I included the Amazon links because some people prefer to buy from them. However, I noticed most products were much cheaper if you buy them from Sephora. Additionally, If you sign up for eBates, you’ll get a 3% rebate on anything you purchase from the Sephora website. You can sign up for eBates here and start earning cashback on tons of online purchases. 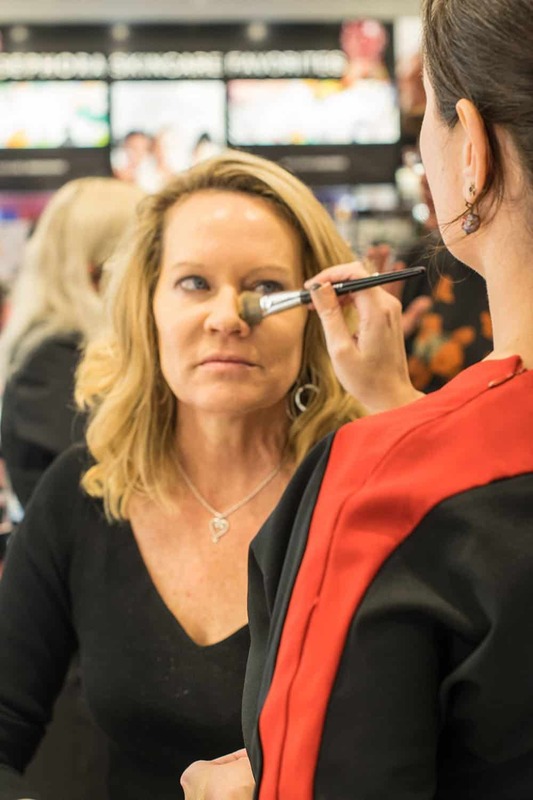 If you want to book your own Sephora makeover, you can do so here and please share a picture on the Midlife Rambler Facebook page!